Noida, now getting the individuality by getting the designation of a district after separating from Ghaziabad. This freedom has helped this place to improve further its legacy and in order to process this growth and development scenario; the region is continuously showing more potential. There is always a professional vibrant energy present here in the atmosphere of Noida. ITs, BPOs, SEZs and the home to Fortune 500 companies are now heading towards to beat its competitors. Noida has an additional benefit of having its geographical location right in the middle of the developed regions in NCR. It is surrounded by nation’s capital Delhi, Gurgaon, Faridabad, and Ghaziabad. This automatically ensures the residents here to move around anywhere easily and its well-connected road network provides seamless connectivity to them. For realty investments, Noida is almost like a paradise. A property price here never goes down and they continuously go upwards. In the coming years too, if you are dealing here in the properties, you can rest assured with a guaranteed return on your investment. The residential life is very luxurious here in the sophisticated living apartments and the facilities, comforts, and amenities you can cherish there are completely mind-blowing and amazing. 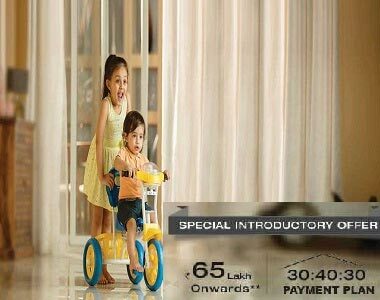 With an introductory exciting payment offer of 30:40:30 on the booking amount and with other easy payment plans and home loan offers, select the best-designed homes in Godrej Nurture for a better future. 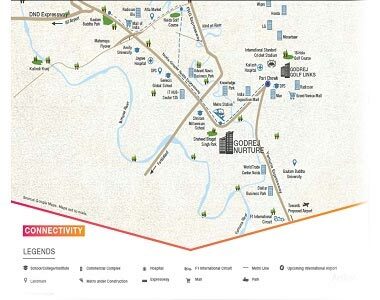 Surrounded with lots of leading MNCs, the commercialization around this area will offer you several white collar jobs and if you are already settled in any of the sectors in Noida, you will reach your office from here in quick time as the Godrej Nurture Noida has great connectivity with all the major roads and expressways in NCR. In the 2, 3 and 4 BHK configurations buyers can select from the various choices in sizes. The 9 acres widely spread property is a complete world of green living facilities and residents can enjoy here a healthy and nourishing lifestyle. Plenty of modern amenities and useful facilities are available here to provide you with a comfortable and prosperous lifestyle. Some of them include a 9 hole golf course for golf lovers, crèche, clubhouse, swimming pool, round-the-clock security, constant water and power supply, kids’ play area, indoor and outdoor games etc. Prices for the ultra-modern homes in Godrej Nurture Sector 150 start from Rs. 65 lakhs onwards.